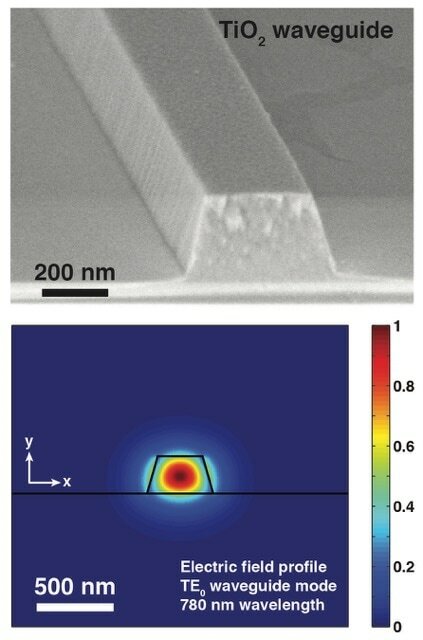 We develop new photonic materials and devices for integrated nano- and microsystems on silicon chips. We envision silicon as the optical bench top of the future: our research will enable us to replace complex, bulky and expensive photonic systems with tiny, mass-producible and energy-efficient microsystems on a chip. We are developing new nanophotonic devices for applications including high speed data communications, high precision measurements, biological sensing and environmental monitoring. We carry out hands on experimental research using the nanofabrication facilities and photonic characterization equipment in the Centre for Emerging Device Technologies and McMaster Engineering Physics Department. We are always looking for motivated and highly qualified students to join our team. We also collaborate with local companies and are actively seeking new partnerships which will benefit Canadian industry. Please contact Dr. Bradley if you are interested in more information. ​Dr. Jonathan Bradley is an Assistant Professor in the Department of Engineering Physics at McMaster University. He received his B.Eng. and M.A.Sc. degrees in Engineering Physics from McMaster University (2003 and 2005) and his Ph.D. degree in Electrical Engineering from the University of Twente (2009). In addition to postdoctoral and research scientist appointments at Harvard University (2010-12) and the Massachusetts Institute of Technology (2012-13, 2014-15), he taught undergraduate physics and photonics as an assistant professor at Wilfrid Laurier University in Canada (2013-14). He currently holds the McMaster University Barber–Gennum Chair in Information Technology. His research interests include integrated optics, on-chip amplifiers and lasers, microresonator devices, nonlinear nanophotonics, and silicon photonic microsystems. Dr. Bradley has contributed to more than 100 journal and conference papers in the field of photonics.